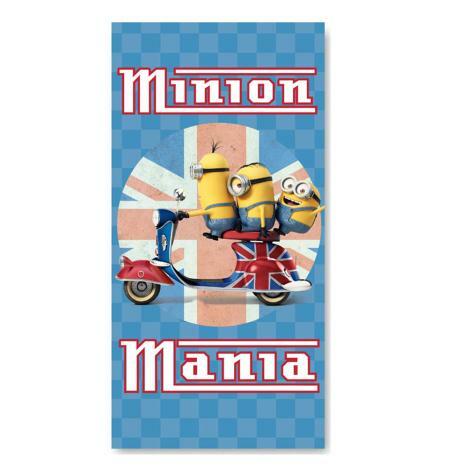 Minions Mania Beach Towel | Minion Shop. 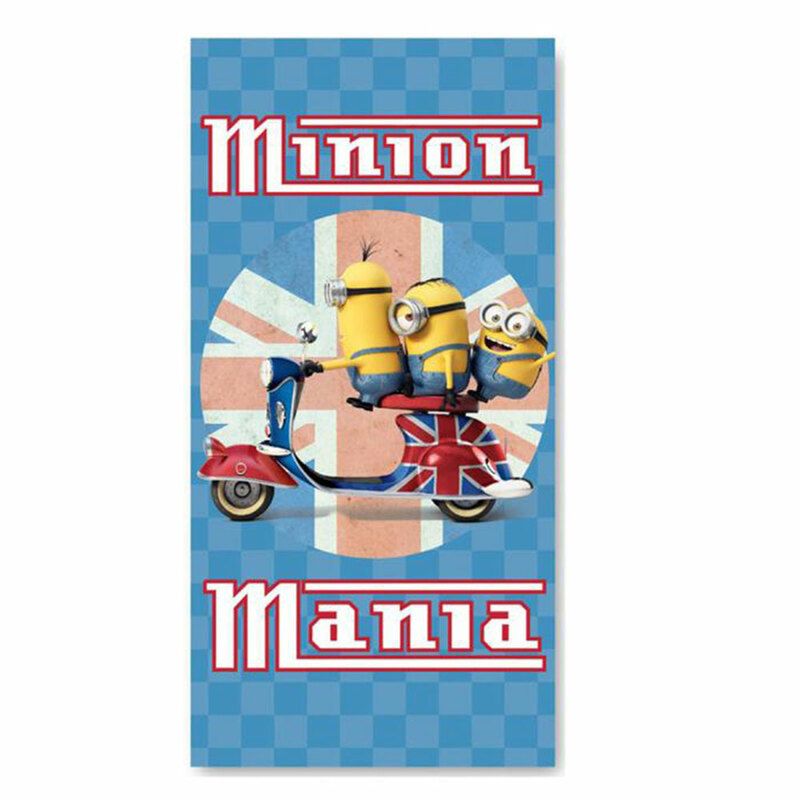 Fans of the Minions film will love this fun Minion Mania beach towel, the fantastic design features three mischievous Minions riding a scooter set against a Union Jack themed background. This 100% cotton towel is great for keeping you warm and dry on the beach or by the pool and is ideal for bath times too!